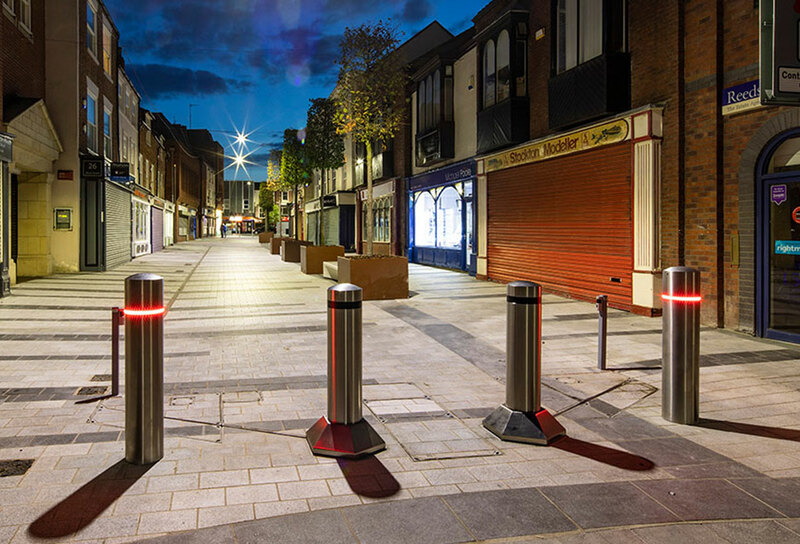 Stockton-On-Tees Borough Council initially approached Heald to provide an access control system for visitors and businesses as part of a new public realm pedestrianisation scheme. They also required a suitable hostile vehicle mitigation product which can be used in conjunction with events to keep the public safe. The council opted for Heald’s latest innovation, the Electro Mechanical Matador. 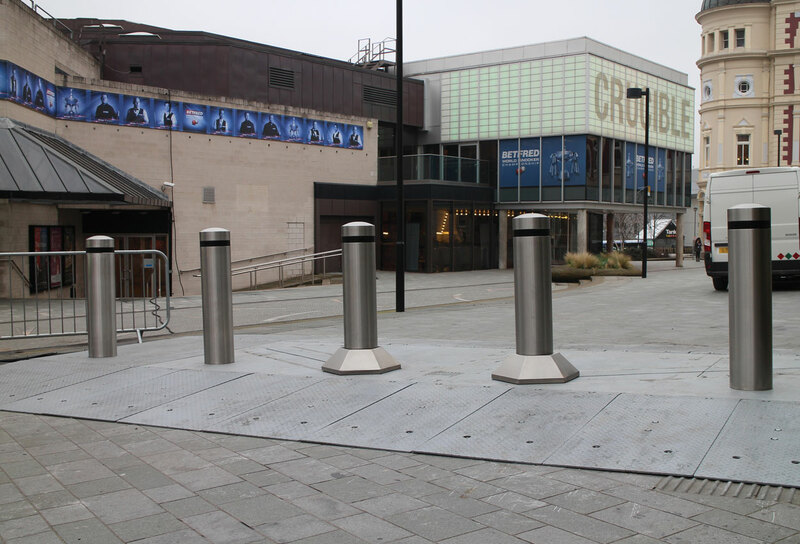 The sliding bollard system was decided to be the best option on the market and also fitted the brief. Its shallow foundation depth was a key point as this reduced the amount of infrastructure in relation to underground pipe work. It was agreed that Heald would work alongside Balfour Beatty, who would provide the civils works, and Heald would commission the product. One of the major challenges faced was time. With just 17 weeks to complete the reconstruction of Silver Street, Bishop Street and Calver’s Lane, it was crucial that the installation was completed on time. In order to overcome this challenge, Heald, Balfour Beatty and Stockton-On-Tees Borough Council agreed commissioning and installation dates five months in advance, ahead of the works. By working together, the installation and commissioning of the Electro Mechanical Matador was completed on time for the town’s annual Stockton International Riverside Festival (SIRF). The Electro Mechanical Matador was installed in a very high profile area of the town and therefore needed to blend in with the aesthetics of the area. The EM Matador was installed with Heald’s Architectural Paving System, which allows paving systems to be added to the Matador base enabling the EM Matador to integrate into the streetscape seamlessly. The Electro Mechanical Matador fitted the brief of requiring a hostile vehicle mitigation product. The sliding bollard system has been IWA crash tested to halt an 18 tonner N3C vehicle travelling at 64 kph (40 mph). After testing, the EM Matador continued to function, offering on-going protection. Stockton on Tees is also the world’s first location to have the Electro Mechanical Matador installed! 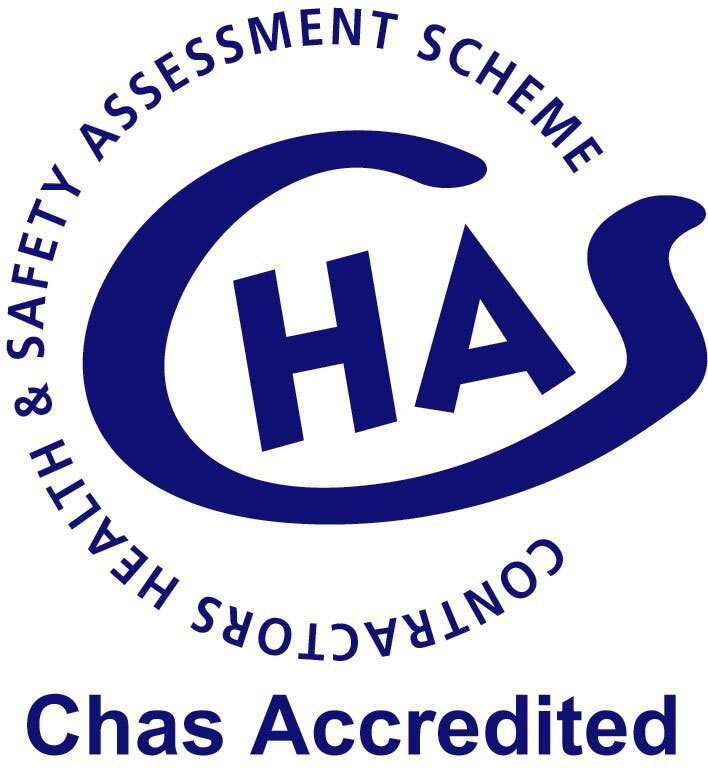 “Heald provided the relevant expertise and track record to deliver the solution we wanted to achieve. The Silver Street Public Realm Improvement Project is a key part of the town centres ongoing regeneration programme which seeks to provide flexible and attractive spaces for businesses, markets and events. The recessed Matador 4 system was the perfect solution both in terms of function and aesthetic quality given the locations conservation area context and the key role it plays in the town centre public spaces. Heald’s communication throughout was excellent and the project was delivered on time despite having to work to a tight deadline. Their technical staff provided regular updates at the various stages of the project and the end product was of a high standard.” – Antony Philips, Principal Urban Designer, Stockton-On-Tees Borough Council.